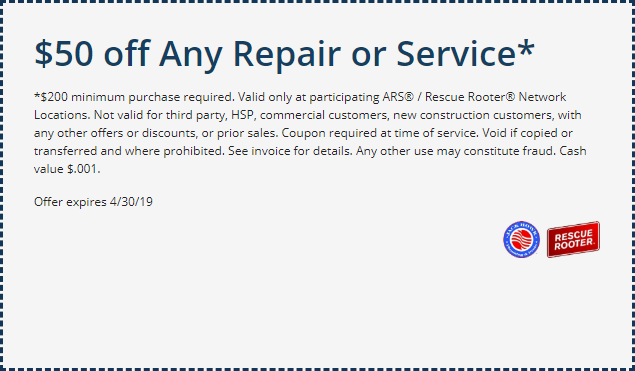 Save money with these Plumbing Coupons & use them on your next Plumbing Services with Jack Howk SM / Rescue Rooter. We specialize in all aspects of plumbing and drain services for Residential and Commercial customers in Portland and surrounding areas. *$200 minimum purchase required. 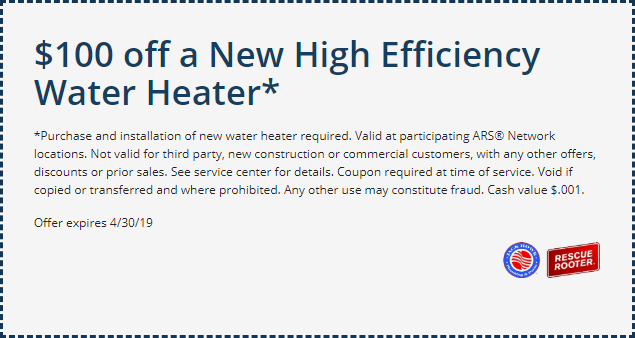 Valid only at participating ARS® / Rescue Rooter® Network Locations. Not valid for third party, HSP, commercial customers, new construction customers, with any other offers or discounts, or prior sales. Coupon required at time of service. Void if copied or transferred and where prohibited. See invoice for details. Any other use may constitute fraud. Cash value $.001. *Purchase and installation of new water heater required. 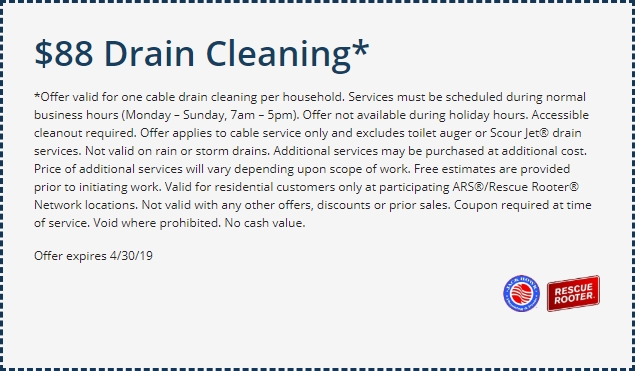 Valid at participating ARS® Network locations. Not valid for third party, new construction or commercial customers, with any other offers, discounts or prior sales. See service center for details. Coupon required at time of service. Void if copied or transferred and where prohibited. Any other use may constitute fraud. Cash value $.001.